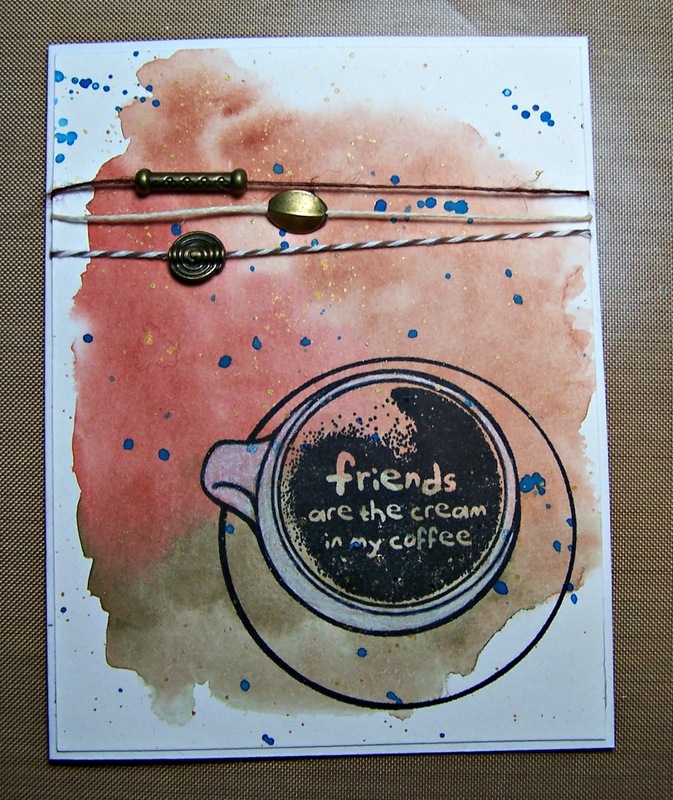 Mondays are often a stressful day for me at work so I often like to unwind with a simple card or project. This simple creative time allows me to settle and does a great job at bringing the happiness back into my day! It is amazing to me how therapeutic a little paper and color can be. Keeping this in mind, I thought I would start to post these simple Monday projects so that they might inspire you to find your happiness at the end of a stressful day. One trick to keeping things simple is to limit your supplies. Here I just used watercolors, a white colored pencil. twine, a few beads and 1 stamped image. I love watching the watercolors flow over the paper! And the message on this stamp was terrific; I can’t wait to send this card off to my special friend.